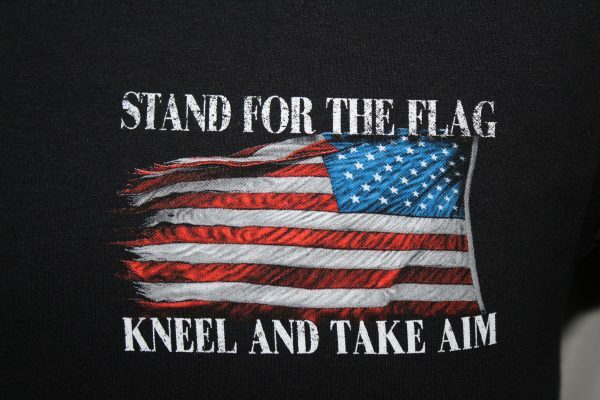 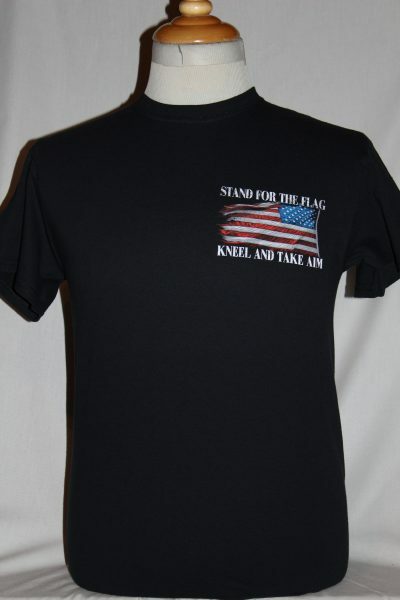 The Stand For The Flag Kneel And Take Aim T-Shirt is a two sided print in black. 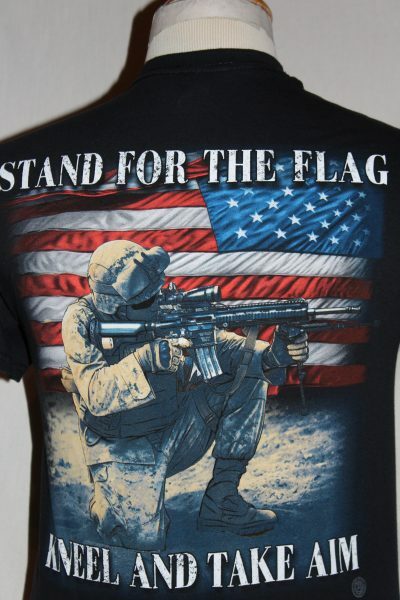 Front Design: Left chest reversed American Flag and text. 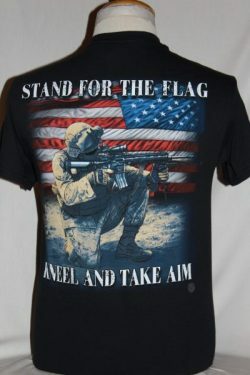 Back Design: Similar as front with kneeling soldier added.